A.H.T. 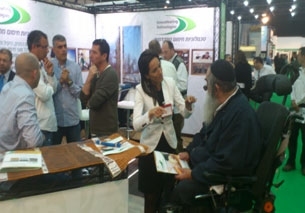 Advanced Heating Technologies Ltd through its exclusive distributors in Israel Green Heating Technologies Ltd participated with phenomenal success in the Projects – Cleantech Exhibition 2013 in Tel Aviv – Israel, which took place on the 29th and 30th of January 2013. The unique AHT electric underfloor heating indoor and outdoor systems were presented in the most enthusiastic and professional way by the GHT team comprised of Yoram, Ilan, Lior, Eli, Kfir and Inbal. The whole team worked tirelessly during the exhibition explaining the unique advantages of the AHT systems which were actually installed in the stand under carpet, parquet, ceramic and even under grass! Thousands of consumers and hundreds of professionals such as architects, builders, electricians, engineers etc. 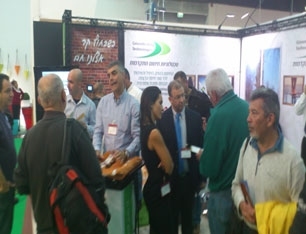 passed through the GHT stand and many new contacts have been made and already a number of projects have been confirmed all over Israel. At the end of the exhibition the GHT members voted Inbal as the most energetic and effective member and the award was presented by Kyriacos Bilicos of AHT who commented “It has been a real pleasure and an honour to work with such a talented team. See you next year, same time, same place. Shalom Israel!